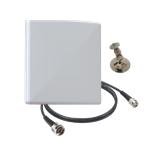 Impinj ItemEncode RFID Software - Fast, Reliable RAIN RFID Tag Encoding. ItemEncode is a flexible software system that boosts the speed and data quality of RAIN RFID encoding machines while lowering labor and operating costs. Using a pipelined configuration of encoders, ItemEncode enables encoding machines to achieve highspeeds, advanced error correction and low operating costs. An ItemEncode system can encode up to 9,500* tags/min and supports both IT- and chip-based serialization methods. 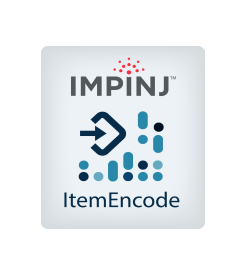 ItemEncode Pipelined System Machines that utilize Impinj ItemEncode software optimize tag encoding yield by using a pipelined configuration of encoders which share operational information and intelligently recover encoding failures—without slowing down encoding speed. ItemEncode will track individual tags by their TID as they move through the pipeline, allowing all encoders to remain in sync with the encoding configuration for that particular tag. ItemEncode Enabled Machine Manufacturers Choose a high-speed encoding machine with ItemEncode software to meet the growing demand for serialized RAIN RFID tags and deliver fast order turn-around times to retail customers. ItemEncode software enables encoding speed up to 9,500 RFID tags per minute when used with Monza R6 tag chips. Actual speeds are limited by machine’s mechanical and RF isolation capability. ItemEncode requires an annual subscription fee plus a volume license. The volume license is free for Monza encoding. ItemEncode is part of the RFID software layer of the Impinj Platform. License Annual Subscription plus volume license, free for Monza encoding.